The roots of the American Indian Film Festival stretch back to 1975 when the first American Indian Film Festival was presented in Seattle by the late Michael Smith (Fort Peck Sioux). In 1977, he relocated the festival to San Francisco where it found its permanent home. AIFI was incorporated in 1979, with the late Will Sampson (One Flew Over the Cuckcoo’s Nest) among its founding members. Today AIFI is the major presenter of Native American media arts in California, and the festival is the world’s oldest and most recognized international film exposition dedicated to Native American cinematic achievements. AIFI encourages Indian and non-Indian filmmakers to bring to the broader media culture of Native voices, viewpoints and stories that have been historically excluded from mainstream media; to develop Indian and non-Indian audience for this work; to advocate for authentic visual and workforce representation for Indians in the media; and open up opportunities for native Americans to enter the workforce of the creative economy. Michael Smith, the Relocation-era Sioux man who founded the American Indian Film Institute and the American Indian Film Festival, passed away on Wed., Feb. 14, 2018 in San Francisco. He was 66. Growing up watching non-Natives play Natives, perpetuating stereotypes and disseminating inaccurate, often offensive portrayals of American Indians onscreen, a visionary 20-something Smith started the American Indian Film Institute in 1975, in Seattle. 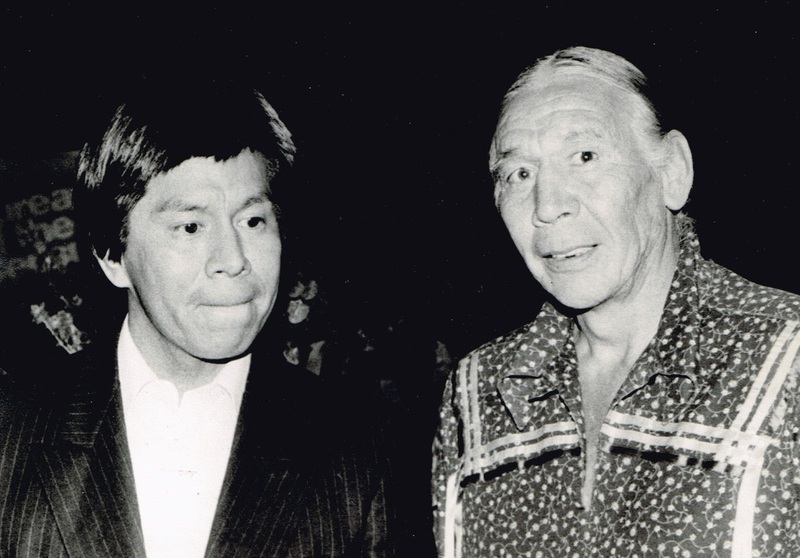 It took zero persuasion on Smith’s part to recruit two of his heroes – Mvskokee actor Will Sampson (“One Flew Over the Cuckoo’s Nest”), and Canada’s Coast Salish actor and tribal leader, Chief Dan George (“The Outlaw Josey Wales;) “Little Big Man”) – to become founding board members of AIFI. A couple of years later, Smith helmed the first ever American Indian Film Festival®; and, in November 2017, AIFF marked its 42nd year of creating countless filmmakers, screening hundreds of films by, for and about Native peoples, and shattering stereotypes around the globe. In marking its milestone of 40 years, the American Indian Film Festival® naturally reflects on the themes, forces and faces who inspired new generations, broke through barriers and set the bar for cinematic achievement, against the dramatic backdrop of civil and American Indian rights, a cultural revolution, and cutting-edge films. Will Sampson (One Flew Over the Cuckoo’s Nest; Buffalo Bill) , and Coastal Salish actor Chief Dan George (The Outlaw Josey Wales; Little Big Man) broke into mainstream feature films, forging their future as icons, and inspiring a young Sioux visionary to establish a forum and showcase from an indigenous perspective. From relocated urban Indians, to rural reservations storytellers, new filmmakers from all corners of Indian country stepped up and spoke up, made movies, and shared them with the American Indian Film Festival®. The 43rd Annual American Indian Film Festival® was dedicated in the memory of festival founder/ director, Michael Smith.